Tradition Golf Club, member of the Waccamaw Golf Trail, and designed by Ron Garl, opened its doors to acclaim back in 1995 by being named the South Carolina Golf Course of the Year shortly thereafter. Tradition Golf Club is the one of the only Ron Garl designs in the Carolinas. 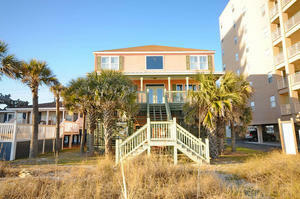 This par-72, 6875-yard golf course is located along the southern part of the Grand Strand in Pawleys Island. Boasting a large practice complex, you will want to arrive early for a warm up before heading out to play your round of golf at Tradition Golf Club. When you add Tradition Golf Club to your Myrtle Beach golf package, you get an 18 hole golf course that welcomes the use of your driver off the tee with the wide fairways lined with trees providing plenty of room for a driver to keep your ball in play. Both locals and visitors love this course for it’s ease of play for golfers of all types, skill and age. Men, women, seniors and juniors all love this course as it’s challenging for all, but fair. There are two island greens included in the 18 holes, as well as many other challenges with both fairway and waste bunkers to navigate. The Bermuda greens are well maintained and provide subtle breaks with make the green reading on Tradition Golf Club a skill to be utilized. The signature hole on this golf course is the par-4, 7th hole which leads to an island green – as will all island greens, precise shot making is rewarded with a birdie opportunity. Tradition Golf Club is part of the Founders Collection of Golf Courses here in Myrtle Beach. Ask one of our golf specialists about the other Founders Courses and make your own Myrtle Beach golf package of courses that meet your needs and skill set. 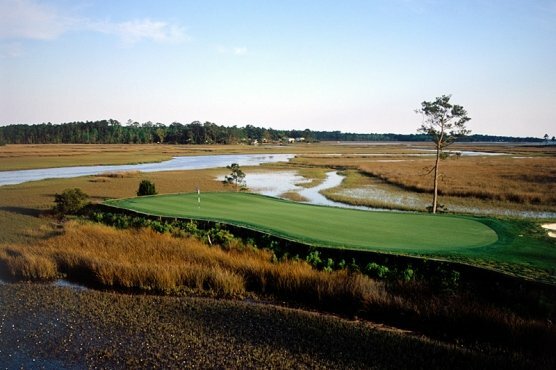 The lowcountry, laid back lifestyle of this Pawleys Island course makes for a great addition to your Myrtle Beach golf vacation and memories that will last a lifetime.